Request a quote for Ejector Sleeves today. JBF National ejector sleeves are manufactured using certified H-13 die steel and come completely bright nitride processed both inside and out. 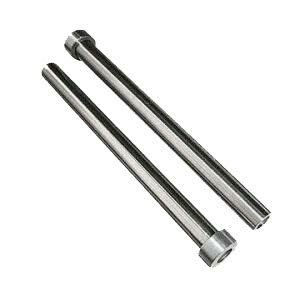 These ejector sleeves can both be used as housing for the ejector pin or as the actual ejector pin itself. These ejector sleeves feature a ground finish under the sleeve head to ensure the best seating possible. Surface Hardness: HRC65-74 Core Hardness: HRC 40 +/-5 Please see component diagram below.